I’ve never really been interested in cookie decoration. Its only last year that I attempted my first royal icing cookie. I think one of the reasons is because I never saw many tips online at baking sites, I was probably more focused on cakes though. I’ve known how to make and use royal icing for a long time, I just never knew the correct recipes for consistency, I experimented until I got it right. And often wasted too much icing doing so. That is probably why I never craved creating cookies with it, I found it very frustrating and draining to make two batches of icing: one to outline, one to flood. Besides, I don’t have a very steady or a strong hand for piping bags, which is why I leaned toward fondant as my medium. Next I have tested out the method to beat all methods for getting the consistency right for the icing. (watch Sweetopia’s video on consistency HERE) Its a 10 second test in which the icing should self heal to smoothness after you run a knife across the batch still in the bowl. Too long to heal and its too thick, too short, too thin. Then using a #2 Wilton tip you can outline and fill in immediately using the same icing. Give the cookie a little jiggle and its done. No excessive waiting, no double batches of each color. After the icing field dries overnight you are ready to pipe with that same icing. To pipe intricate lines, Sweetopia likes to use a kopykake projector to outline any image flawlessly (watch her draw the Eiffel Tower HERE). I do not have this projector, but it would be nice if I did! 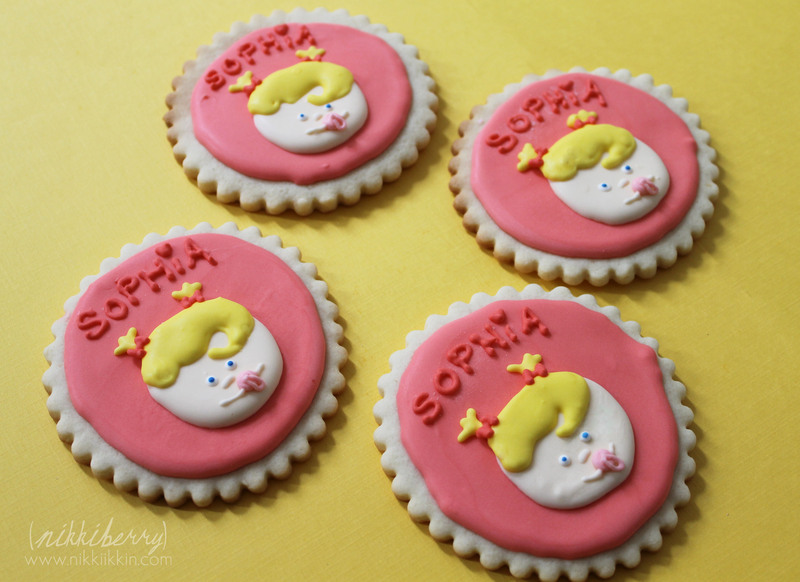 So the last set of cookies I made to celebrate a friend having a new baby girl I used Sweetopia’s methods and tips. While I still see room for improvement on my cookie style and technique I definitely improved my time efficiency and found the decorating to be easier and most of all enjoyable! 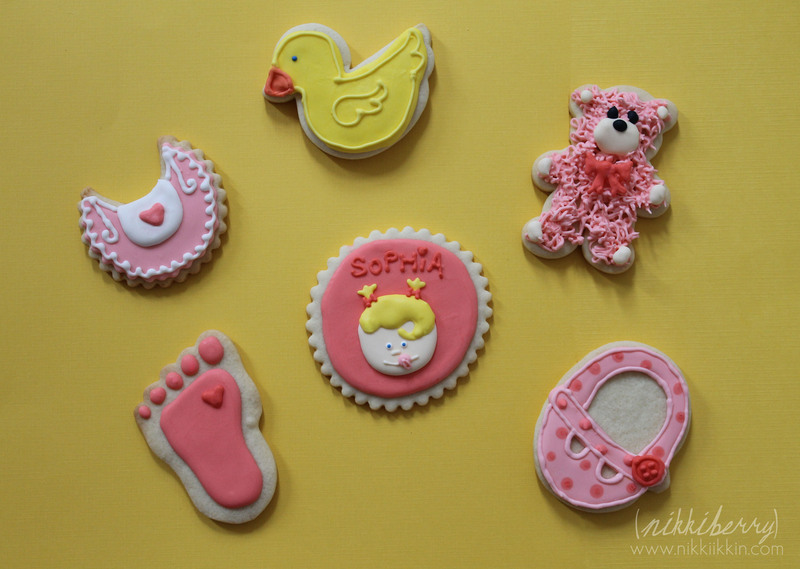 I choose to do a mixture of baby related cookies but I didn’t buy any new cutters. I got innovative with a few cutters I already had. The bib is a scalloped circle with a notch cut from it and the baby shoe is a pumpkin cutter! Macy actually figured out that the pumpkin could be turned sideways to look like a shoe and buckle. The baby face took some time with the layers, I think I could streamline the face and background into one layer next time. 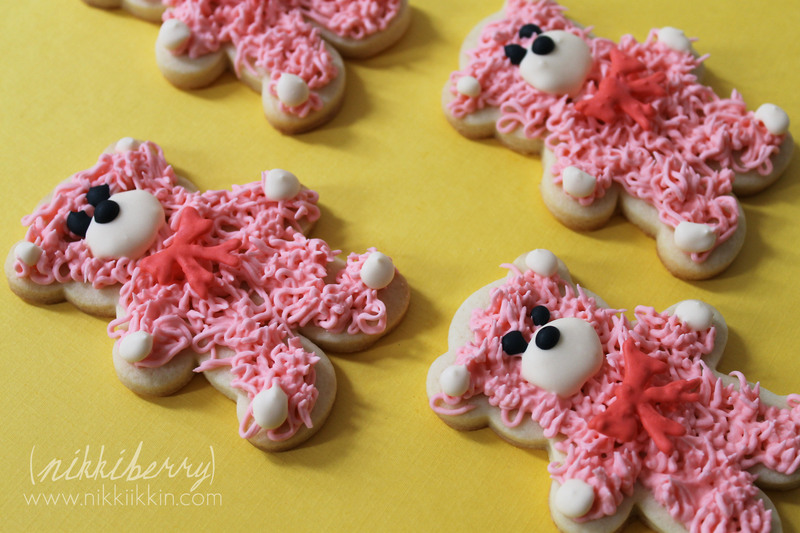 My favorite cookie was the chenille teddy bear. I’ve used Wilton tip #233 for fur before on my Where the Wild Things Are cookies, but as I started to give this teddy bear fur the icing formed more what I thought looked like a chenille fabric. He’s sorta that messy perfection that I love about using tip #233. After the fur is dry I flooded drops for the ears, hands, feet nose and eyes. 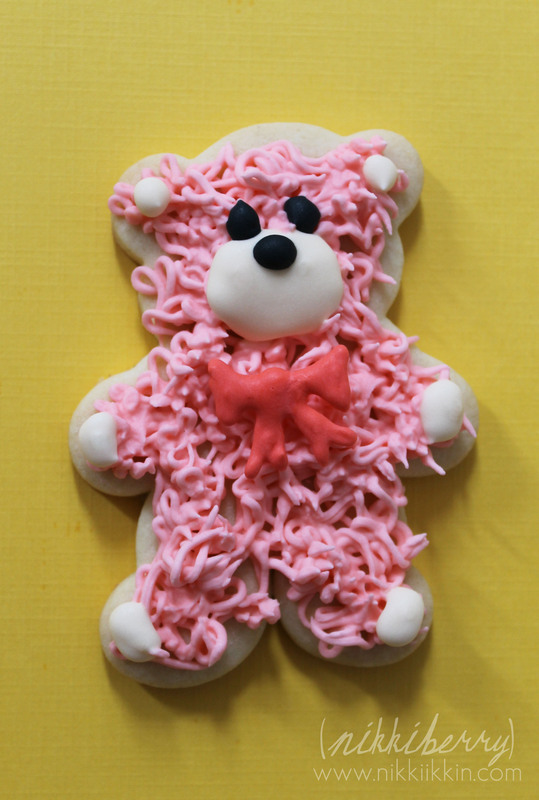 The teddy’s bow was pipped on wax paper and dried before placing on the fur. 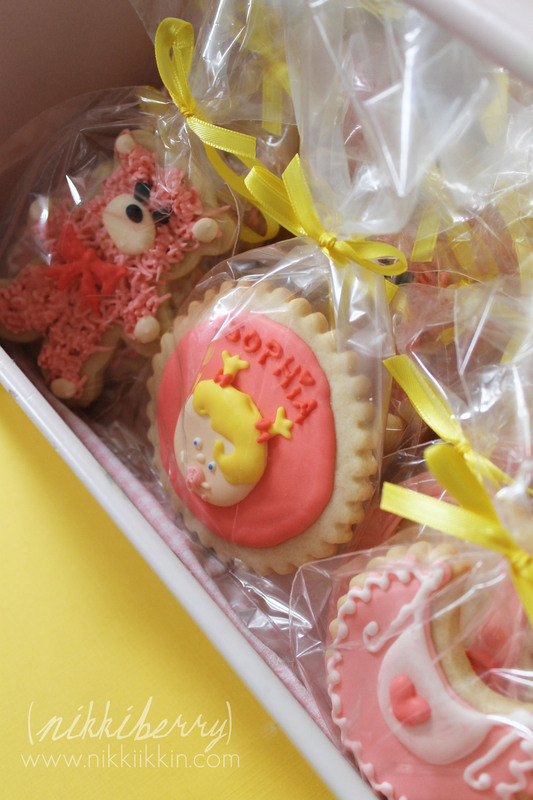 I wanted to give the new brothers their own special cookies and I let Macy pipe and decorate these all by herself. 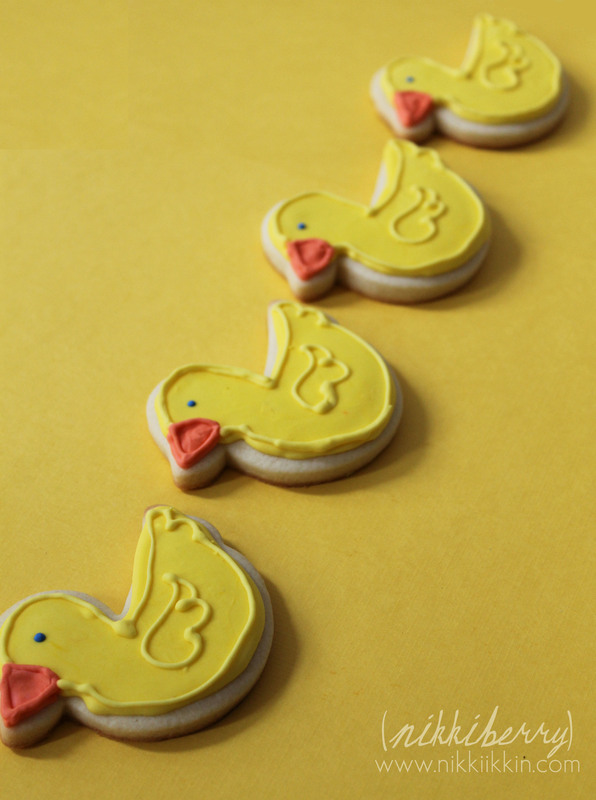 Proof that if a 10 year old can decorate cookies with these tips & methods than anyone can! 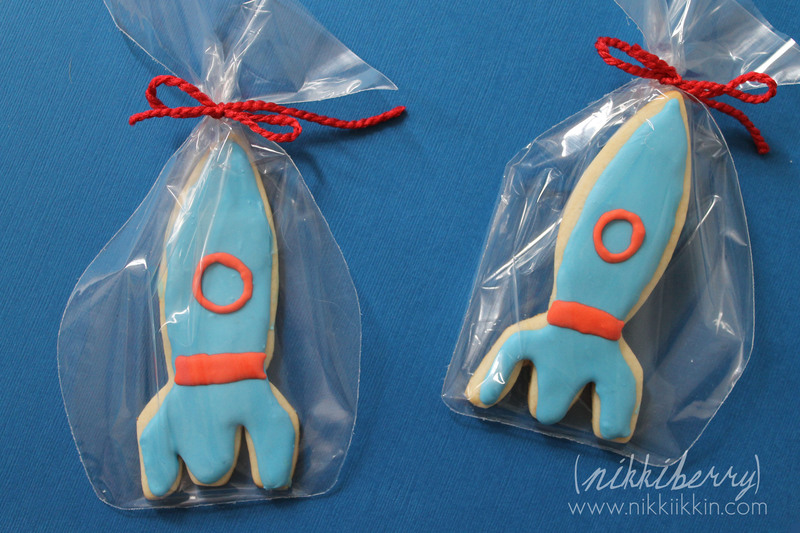 Rocket ship cookies decorated by Macy!